There are some beaches where you are not allowed to take cell phone photos, or any photos. This one is ok. 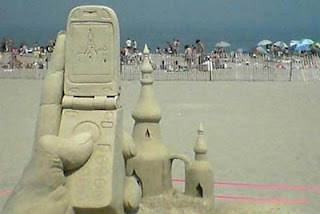 Very clever sand sculpture.